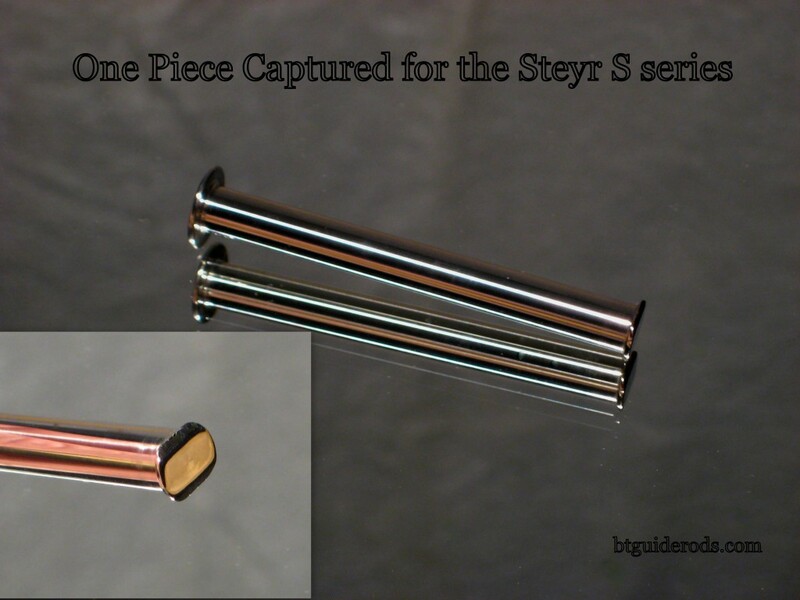 B~T Guide Rods offers Sta-Tite, One Piece Captured and Non-Captured Guide Rods for the Steyr M series. Steyr factory recoil springs are available for $16.00. B~T will always recommend using the factory spring for dependable reliability. If you prefer to have options, B~T can machine a Non-Captured OR a Sta-Tite guide rod for your Steyr pistol that uses Glock springs. Several shooters have had success using alternative springs, usually when there is something outside of normal being asked of the pistol; using a suppressor, shooting powder puff target loads or +p+ loads would be examples. Contact Us if you’re interested in trying out a Glock sized spring in your Steyr. The Steyr S series comes from the factory with a 2 piece steel rod that is black. In my experience the S series rod neither comes apart nor rusts. B~T Guide Rods offers Sta-Tite, One Piece Captured and Non-Captured Guide Rods for the Steyr S series as a way of rounding out the Steyr lineup. Click on the links for more info or contact us for more information. This is the home of the Sta-Tite guide rod, the most reliable guide rod design on the market. Looks great, works great, and a 100% improvement over any polymer factory recoil assembly. 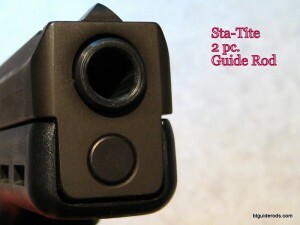 Also, checkout our unique Steyr pistol accessories. BT Guide Rods | Powered by Mantra & WordPress.